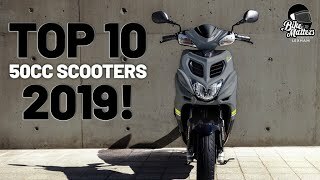 Part 3 - We look at the new motorcycles and scooters for 2019 that will be at Motorcycle Live. Welcome back to the final part of this Motorcycle Live preview series. In the previous blogs I covered Yamaha's MT range, Darkside Tour and the GetOn training event (check part one here) and then looked at some of the latest retro bikes that will be appearing at the show (check out part two here). 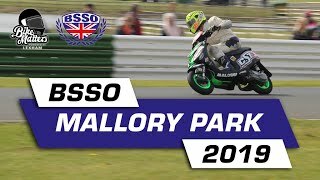 This time we are looking at the modern bikes we can expect at the show (both motorcycles and scooters) and the ones that have us the most excited before heading to the NEC next week. Of course we can't fit everything in here but we will be covering the whole event as it unfolds so follow Lexham on social media and look out for new blogs! Aprilia's Shiver has been around for a while now, in fact in 2007 when the bike was released it was the first factory bike produced with ride-by-wire technology. The 2019 version looks to continue the tradition by creating an accessible sport naked that comes with a lot of design details and technology. We know it will contain an 896cc engine with 94 bhp output and features traction control, rider modes and the same TFT display as the RSV and Tuono with multimedia connectivity. A big surprise at EICIMA was Aprilia's RS 660 concept bike. With sporty 600s diminishing in recent years due to the Euro 4 regulations, it was interesting to see Aprilia bringing the division back into focus, especially as a manufacturer that never previously produced 600cc sport bikes back in the category's heyday (focusing mostly on 250cc and below and 1000cc sport models). We don't yet know if this will see production but it's certainly a well developed and intriguing concept with both a fantastic aesthetic and a promise of both performance and practicality. Time will tell if we will see these on the roads but I am hoping to see it up close at the NEC. Another huge surprise from EICIMA was the unveiling of Kymco's electric super-sport bike, the SuperNEX. Kymco have been going from strength to strength in recent years producing some excellent scooters but this is something altogether different. With a 0-60 mph of under 3 seconds this is real super-sport performance from an electric bike. Another aspect Kymco have focused on here is making it actually feel like a sports bike which is often the main criticism of electric bikes, as a result this one has a 6 speed gearbox with slipper clutch to replicate the way a traditional motorcycle feels. 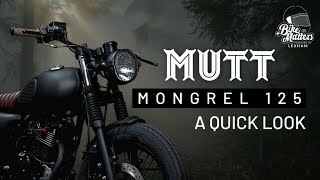 On top of that there's an Active Acoustic Motor which will replicate the sounds of a motorcycle engine and since it is electric it can even be customised in character and volume to the rider's preference. This is definitely one to see in person at the Motocrcyle Live Kymco stand. Adventure bikes are another market that has seen a soar in popularity in recent years but generally large engine sizes and matching price tags mean its not the most accessible area to get into. That could change with Yamaha's new Ténéré 700, utilising the MT-07's 689cc engine but with an all new chassis and mapping to make it more suitable as a dual purpose road and off-road machine, not to mention the huge 21'' front wheel and 18'' rear. Other features include Brembos front and back, switchable ABS and adjustable suspension. The Ténéré 700 is due out later in 2019 so the NEC could be the first chance to see the production version in the flesh ahead of it's release. The brand new XMAX Iron Max range of scooters was unveiled at EICIMA this week, coming in 125, 300 and 400cc variations. The XMAX has been a popular scooter for Yamaha and now following suit with other manufacturers the Iron Max version will become a premium option with additional features like the new comfort seat and leather interior pads with aluminium footrests. The Iron Max also gets motorcycle style front forks to improve handling and comes in a unique Sword Grey colour. The Vitpilen and Svartpilen range were a big hit for Husqvarna this year (you can check out Sean's test ride here) with both getting 401 versions but only the Vitpilen coming as the 701. Well, last week the Svartpilen 701 was unveiled, joining it's siblings in 2019 and its another hot bike going into Motorcycle Live. It looks like it will follow the same path as the Vitpilen with an emphasis on style, mixing up retro and modern concepts. It has a slightly different design from its counterpart, most notably in the front end which I really like. I expect the Svartpilen 701, like the rest of the range, to be another more premium offering. We already know it will be packed with features including switchable Bosch ABS and Brembo brakes, slipper clutch, ride-by-wire and an up and down quick-shifter. Husvarna also had a concept bike on show in Milan the Vitpilen 701 Aero. We don't know all of the details yet (although I assume it will carry over most of the regular Vitpilen's specs) but it's another motorcycle I hope to see at the NEC stand and pushes the concept of combining retro and futuristic design even further. It's been a 25 year wait for a 125 from Kawasaki and now 2 come at once, featuring the same chassis and powered by the same 14.75bhp single but with very differing styles. The Z125 follows suit with the rest of the Z family with it's sporty naked design, while the ninja is the full faired version - and as is the trend at the moment, it looks like a large super-sport rather than a 125. Both bikes will be priced around the 4 grand mark with the Ninja slightly more expensive and 2 kilos heavier. The other new bike from Kawasaki I'm very much looking forward to seeing at the NEC is the new ZX-6R. After the near-death of the 600 super-sport category at the hands of Euro-4 the classic ZX-6R is back for 2019. One of the first 600cc models to utilise a slipper clutch back in the day, this new version will also get an up-shift only quick-shifter, traction control and rider modes. Whilst the spec is modernised, the new design is reminiscent of the classic 03 - 07 models with the central air intake but combined with more modern angular headlights, can't wait to see this one in person. We covered the range of car licence friendly 3 wheelers from Piaggio in detail in our MP3 blog (which you can read here) and now 2 new models join the line-up for 2019, the MP3 300 HPE and the MP3 500 HPE Sport Advanced. The MP3 300 HPE comes with a host of upgrades including updated looks and performance, Piaggio reckon they have increased the scooter's power by 16% over the previous versions which is no small upgrade. The MP3 500 Sport Advanced comes as a premium alternative to the regular sport version with some component upgrades and it's own colour scheme. One noteworthy upgrade will be a reverse gear, the first time any 3 wheeler has featured one! The Vespa GTS range get upgrades for 2019 in all departments including performance, styling and comfort and will be available in five different versions: the Vespa GTS, GTS Touring, GTS Super, GTS SuperSport and GTS SuperTech. I've always loved the GTS design and the new models do a great job bridging the classic Vespa look with a more modern aesthetic, definitely one I'm looking forward to seeing on the Piaggio stand at the NEC. This really is just the tip of the iceberg, with other stands from Ducati, BMW, Honda, Suzuki and loads more, there's so many great bikes we don't have space to cover them all here. Motorcycle Live runs from the 17th-25th November and if you can't make it in person Lexham will keep you covered on all the hottest bikes and scooters at the show over the coming weeks. You’re not having a bike!